Home / Skincare / Could soaps get any cuter? Could soaps get any cuter? Claus Porto has done it again with its new collection of Pastille hand soaps ! 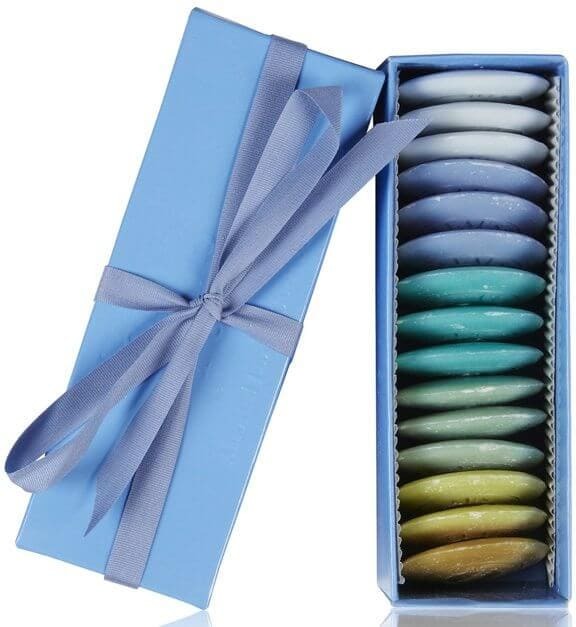 These pretty pastel soaps remind me of French macaroons – and smell just as delectable. Alas, they’re not edible, but each one is crafted from the purest Shea butter and natural essential oils to moisturise, protect, and replenish the skin’s natural protein complexes. They come in five scents (marine, lavender, lime basil, vetiver and wild pansy) and are lovely enough to brighten up any powder room.